bebop spoken here: Jo Harrop Quartet @ The Gala Theatre, Durham. Nov 6. 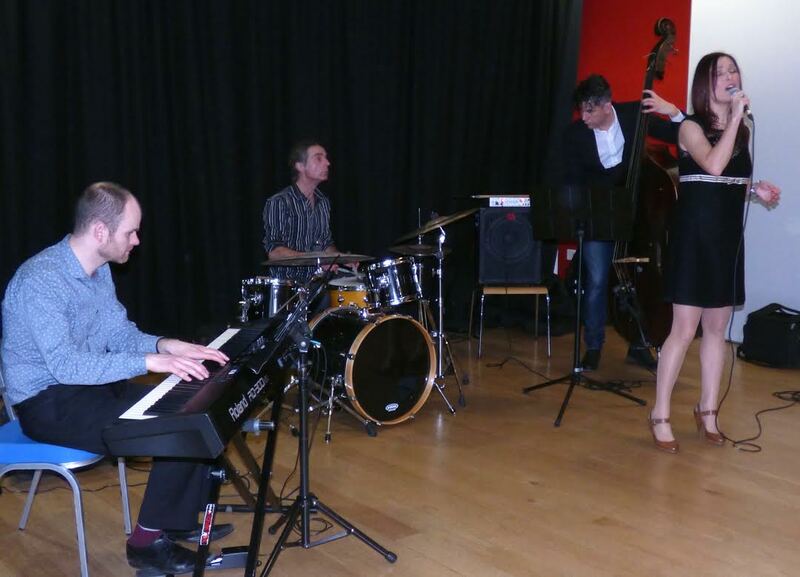 Jo Harrop Quartet @ The Gala Theatre, Durham. Nov 6. 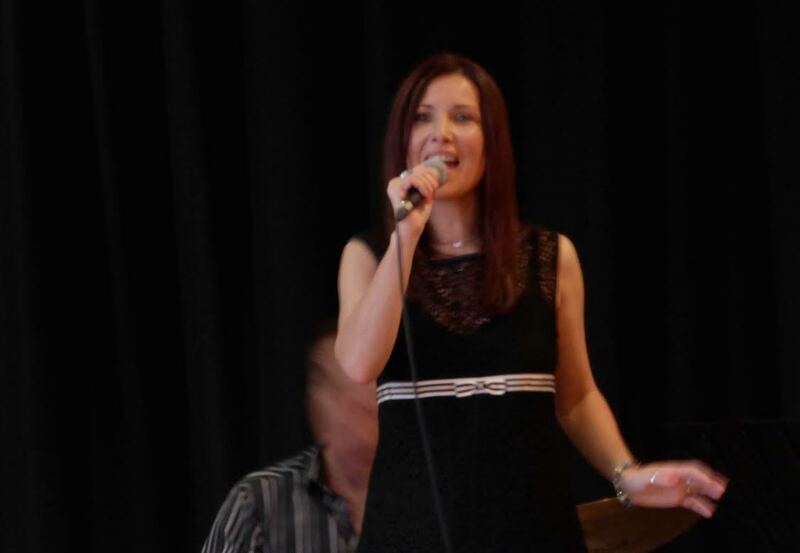 Jo Harrop (vocals), Neil Harland (bass), Rob Walker (drums) and Paul Edis (piano). Jo Harrop, a great band and a programme listing (among others) Gershwin, Porter, Legrand and Billie Holiday – what a perfect antidote to the soggy Bonfire Night I had in Borrowdale! There was a full house (100), with people being turned away at the door and an expectant hush at 12.59 and into the opening song, Love Me or Leave Me - no noisy diners here! Looking across the river there were still autumn colours to be seen against a slate-blue sky befitting Autumn in New York. The line: “Autumn in New York is often mingled with pain”, was not true at the Gala with Jo Harrop’s vocals to soothe us. There was seasonal consolation later, too, in Legrand’s You Must Believe in Spring: “If winter comes, can spring be far behind?” Nothing like a bit of Shelley to adorn already beautiful lyrics! I’m a Fool to Want You by Herron / Sinatra / Wolf is a tune which does NOT suffer from being much-covered over the years. Here the backing was stripped down to minimal - no solos - allowing the audience to focus entirely on the plaintive Billie Holiday-style delivery. It was “hear a pin drop time” in the packed room. Piano and bass both got to solo on Richard Rodgers’ cheery, up-tempo This Can’t Be Love and then we had more master-class lyrics on Cole Porter’s It’s All Right with Me. Who else coolly rhymes “chips” with “lips” outside of a limerick? Rob Walker’s drumming came more to the fore on Gershwin’s lovely The Man I Love. Maybe that should be Gershwins’ as Ira’s lyrics contribute much to the enduring appeal of the tune. Tuesday, there, might be “good news day” but we were all doing nicely on Friday, thank you! I Can’t Give You Anything but Love saw Jo at her most winsome and some trading fours generated more fizz and pop than our sparklers last night. Then more Cole Porter with an up-tempo Just One of those Things which featured more great lyrics, though apparently it was a friend of Porter’s who suggested the adjective in “gossamer wings”. No one’s perfect? The official last number was my idea of perfect – how could they top it? Great blues piano (with piano “answering” the vocals), great bass solo and great blues singing on Billie Holiday’s Fine and Mellow…….which they then topped with their encore: I Wish I Knew How it Would Feel to Be Free! I have loved this song since I first heard Jo Harrop perform it about 5 years ago and it took on added poignancy having watched, two days ago, a DVD of Twelve Years a Slave in which I found the brutality portrayed truly shocking. Anyway, the audience clearly loved it too. Never mind soggy Bonfire Night – this was Christmas come early!